Nowadays, there are 111 million trucks in logistics system. In South-east Asia countries, there are more than 10 million truck, but the value of accident from drowsy driving in Thailand is 400 thousand US dollars/year and are increasing every year. 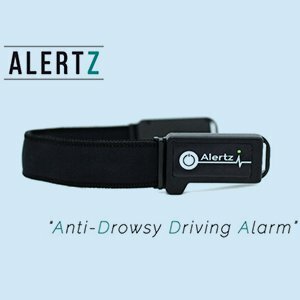 So researcher invent an anti-drowsy driving alarm device to prevent an accident via using brain signal. An anti-drowsy driving alarm device is an innovation to detect a possibility of drowsiness before driver have a drowsy behavior and get an accident. The main technology is an integration of brain signal in Pre-frontal area and eye’s motion during driving. Head movement during driving is also integrated in the system. Moreover, wireless communication was implemented and available to interface to smartphone.